Thanks to kraskaaa for the heads up. Thanks to Pawel for the heads up. Today, Starz announced the highly-anticipated Season Four return of the #1 hit Starz Original series POWER on Sunday, June 25, starting at 12:01 am on the Starz app and On Demand. The network on-air premiere will be at its regularly scheduled time of 9:00 pm ET/PT. 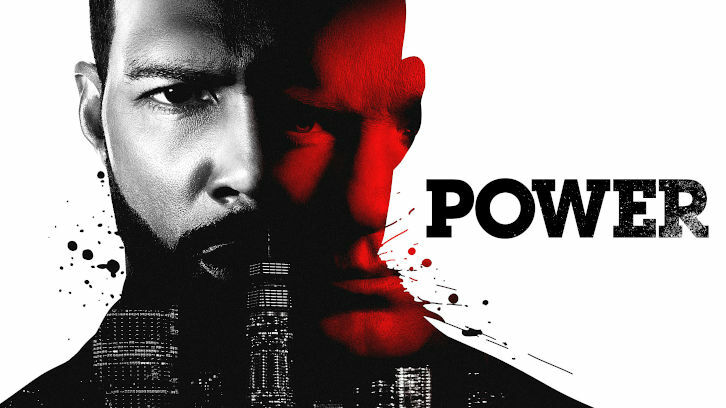 Season Four of "Power" will consist of 10 one-hour episodes. A full weekend "Power" Play marathon begins on Saturday, June 24th at 5PM ET/PT when the network airs Seasons One through Three. The third season of "Power" was the most-watched ever for a Starz Original series, with a record 8 million multiplatform viewers per episode. Season Three of "Power" was the second-highest rated series on all of premium pay television in 2016. Season Four of the Courtney A. Kemp created series, picks up on the heels of James "Ghost" St. Patrick's highly publicized arrest by his ex-girlfriend, Assistant U.S. Attorney Angela Valdes, for the murder of FBI Agent Greg Knox-a crime he did not commit. Ghost can't outrun his past choices and mounting enemies this season, which threaten his freedom and his family's safety at every turn. His fight for redemption brings him face-to-face with the Feds, the media, new allies, and old foes. But the biggest obstacle for Ghost remains himself and his internal struggle between the man he wants to be and the one he really is. "Power" is a visionary drama that straddles the glamorous Manhattan lifestyles of the rich and infamous and the underworld of the international drug trade. The cast is led by Omari Hardwick as drug kingpin and nightclub impresario James "Ghost" St. Patrick, Joseph Sikora, as his brother in arms in the drug business, Tommy Egan; Naturi Naughton plays Ghost' fierce, loyal wife Tasha St. Patrick and Lela Loren as his first love, Assistant U.S. Attorney, Angela Valdes. "Power: The Complete Season Three" arrives on Blu-ray and DVD on June 13th from Lionsgate. The Blu-ray and DVD will include special features including a recap of the season and an inside look at the making of the show and be sold for $59.99 and $49.98, respectively. About "Power" Courtney A. Kemp serves as the Creator, Showrunner and Executive Producer of "Power." Curtis "50 Cent" Jackson, Mark Canton, Randall Emmett and Gary Lennon serve as Executive Producers on "Power." Thanks to Who Shot J.R.? for the heads up.